Hardwood flooring is a classic addition to every home or commercial space. However, some still associate hardwood flooring with a traditional, elegant aesthetic. That’s simply not true! Hardwood flooring works with every decorating style. 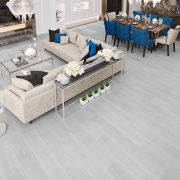 Current design trends call for open spaces with clean lines and modern décor, and installing beautiful wide plank flooring makes it easy to create a modern look. Wide plank flooring is the perfect way to achieve the modern emphasis on large spaces, clean lines, and natural materials. The long length of these planks means fewer are necessary to complete the flooring, and therefore there will be fewer lines on the floor. In this way, wide plank flooring can make rooms appear larger while instilling an immediate sense of luxury. 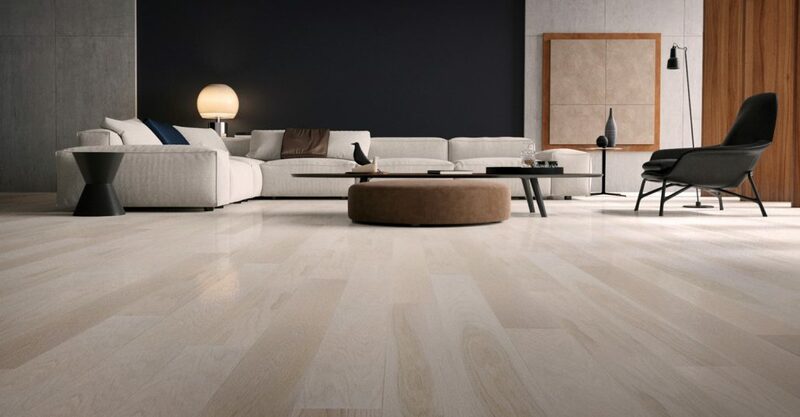 At European Flooring we carry a wide variety of Scandinavian-style flooring with squared edges, and extra-wide and extra-long planks. These planks of European ash or white oak are harvested from fully grown and mature trees. Only Select and Better Grade planks are used to create our Scandinavian collections, meaning that these boards have only a small number of knots, or none at all. This gives them the clean and seamless appeal that will give your space a modern and fresh feel. Modern interior design uses bold, trendy flooring colours to create a sophisticated yet airy look. 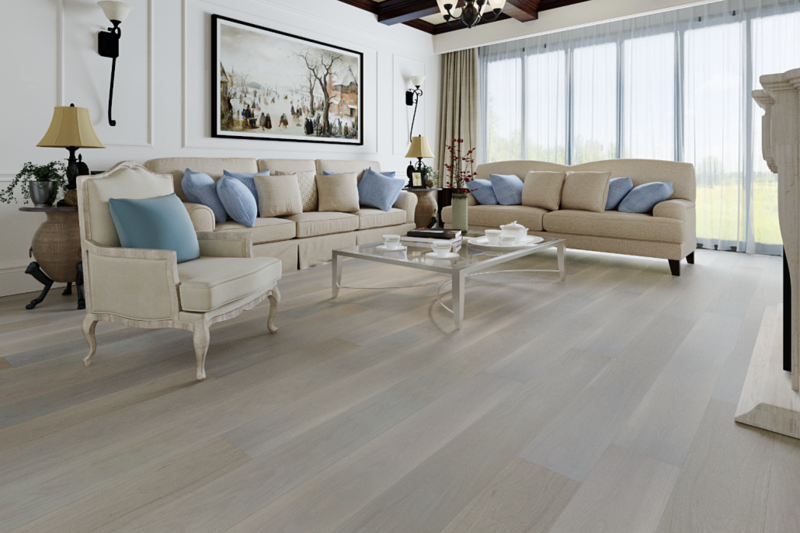 Our hardwood flooring collections offer a range of trendy colours, such as light grey and blond woods. These wood tones are perfect to pair with modern white walls. Wide plank flooring in these unique hues creates brighter, bigger rooms and provide a solid foundation for a modern look. If you’re thinking of a darker and more sophisticated look, explore our selection of deep browns and rich grey stains. No matter which colour you choose, a floor made from wide planks will act as the backbone of your updated modern colour palette. There’s another reason homeowners are falling in love with wide plank flooring. The look of long and wide planks can cultivate a modern rustic look, especially when paired with a matte finish to bring out the natural wood grain. If you prefer a natural yet eco-friendly finish, consider European Flooring’s commitment to sustainable forestry practices and ecologically friendly finishes. 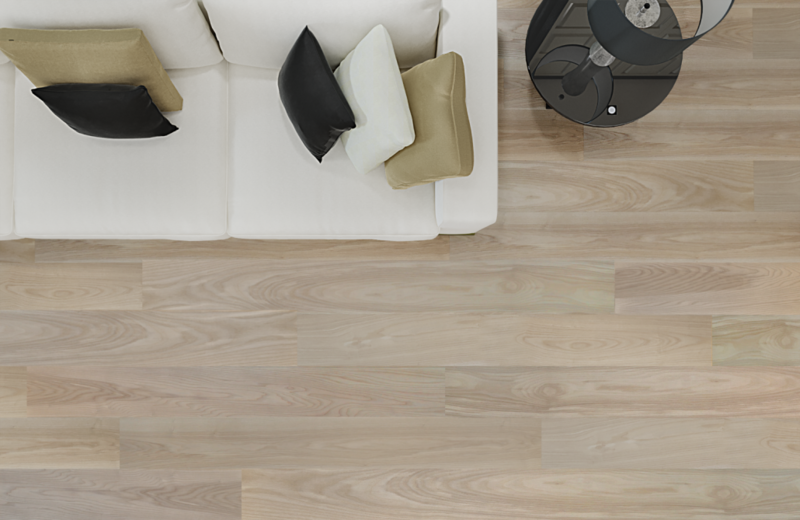 When you install eco-friendly wide planks, the result is a modern space that maintains a connection with the natural world. If you’re looking for luxury hardwood flooring in Toronto, visit European Flooring’s designer showroom in Toronto. In our showroom, you can fully appreciate see how our different wood species, stains, and finishes will update your space, thanks to our generously-sized display models. Our flooring experts will help you decide which style, finish, and colour will best complement your space and style preferences. Contact us today to learn more and book your appointment.